Stop Act H.R. 1226 and S. 447 is a joint project of various groups of Polish Americans, initiated by the Polish American Congress of Southern California. The initial aim of the project was to stop Act H.R. 1226, but it is no longer being considered in the House. Instead, S. 447 passed the House on April 24, 2018 by a highly controversial voice vote (it passed the US Senate by unanimous consent on December 12, 2017). On May 9 2018, the bill was signed by the US President Donald Trump. The present aim of the project is to expose the very UNJUST character of S. 447 and to delegalize it. Act S. 447 and Act H.R.1226, Justice for Uncompensated Survivors Today (JUST) Acts of 2017, apply to Holocaust Era assets, which were “wrongfully seized or transferred” during the war or in the postwar period of Communist rule. They refer to the countries which are signatories of the 2009 Terezin Declaration on Holocaust Assets and Related Issues. Poland, the country with one of the largest Jewish populations during WWII, would be most affected by Act S. 447. It could have a devastating effect on Poland and other Central and Eastern European countries. The most controversial article 3 of S. 447 postulates: “in the case of heirless property, the provision of property or compensation to assist needy Holocaust survivors, to support Holocaust education, and for other purposes”. In fact, the concept of so-called “heirless property” carries a clear contradiction in terms, as heirless property refers to properties of the Polish citizens that legally and orderly escheated to the Polish state. The U.S. organizations making such extralegal claims on heirless property have according to the Polish law and international legal standards absolutely no legal standing. Act S. 447 (and H.R. 1226) overlook important historical facts, go against historical justice, and against the existing laws (like inheritance law). It violates also the Indemnification Clause of the 1960 Treaty between Poland and the USA regarding claims of nationals of the United States (for details please refer to “Legal background”). The bills leave out other racial and ethnic groups, like millions of Polish victims killed by Nazi Germans and Soviets during World War II, and who have never got any compensation from Germany and Russia. After the fall of the Iron Curtain in 1989, Poland has resorted to various means in order to return properties to their rightful owners. Thousands of people with legitimate title claims – regardless of their ethnic origin – have recovered and are still recovering their properties through the court system pursuant to the private property law. Jewish religious and communal properties in Poland have been returned or compensated for by now, pursuant to the 1997 law. 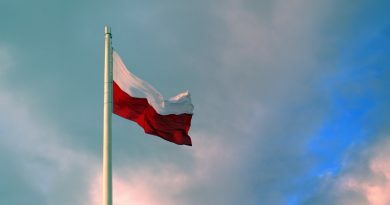 Forcing Poland by the US Congress and US President to satisfy the criminal demands of self-appointed US claims industry organizations is a travesty of justice. We strongly disapprove and object Act S. 447!